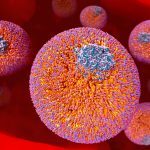 Elevated concentrations of lipoprotein(a) (Lp[a]) –a modified LDL particle comprising LDL and apolipoproteine(a) have been associated with the development of atherosclerosis, cardiovascular disease and an increased prevalence of calcific aortic stenosis. (1-3) Raised concentrations of this recognised genetic risk factor for cardiovascular disease are usually treated with conventional lipid lowering agents or –in a minority of cases- with Lp(a) apheresis. Therapies targeting Lp(a) specifically would be desirable. Two randomised studies funded by Ionis Pharmaceuticals, recently published in The Lancet,(4) assessed the safety and pharmacodynamics of ISIS-APO(a)Rx, a second-generation antisense drug “designed to reduce the synthesis of apolipoprotein(a) (apo[a]) in the liver” (European Clinical Trials Database, No. 2012-004909-27). In a randomised, double-blind, placebo-controlled, phase 1 study carried out in the UK, Viney et al (4) assessed healthy subjects aged 18-65 years, with a body-mass index <32·0 kg/m2, and Lp(a) concentration equal or greater than 25 nmol/L (100 mg/L). As described in the manuscript, “subjects were randomly assigned to receive a single subcutaneous injection of ISIS-APO(a)Rx (50 mg, 100 mg, 200 mg, or 400 mg) or placebo, or six subcutaneous injections of ISIS-APO(a)Rx (100 mg, 200 mg, or 300 mg, for a total dose exposure of 600 mg, 1200 mg, or 1800 mg) or placebo (4:1) during a 4 week period in the multi-dose part of the study”. Main efficacy endpoint was the percentage change in Lp(a) concentration from baseline to 30 days in the single-dose groups and at 36 days for the multi-dose cohorts. Safety and tolerability were assessed as per standard routine clinical and laboratory measures, 1 week after dosing. Main findings: 206 screened volunteers were randomly assigned to receive ISIS-APO(a)Rx as a single-dose or multi-dose of ascending concentrations or placebo. In the single-dose study, three subjects received 50 mg ISIS-APO(a)Rx, three 100 mg, three 200 mg, three 400 mg, and four participants received placebo. All 16 participants completed the treatment and the follow-up and were included in the pharmacodynamics, pharmacokinetics, and safety analyses. For the multi-dose study, eight subjects received six doses of 100 mg ISIS-APO(a)Rx, nine six doses of 200 mg, eight participants received six doses of 300 mg, and six received six doses of placebo. Single doses of ISIS-APO(a)Rx (50-400 mg) did not decrease Lp(a) concentrations at day 30,. However, six doses of ISIS-APO(a)Rx (100-300 mg) “resulted in dose-dependent, mean percentage decreases in plasma Lp(a) concentration of 39·6% from baseline in the 100 mg group (p=0·005), 59·0% in the 200 mg group (p=0·001), and 77·8% in the 300 mg group (p=0·001)” according to the report. Regarding side effects, only mild injection site reactions were reported. The authors concluded that “ISIS-APO(a)Rx results in potent, dose-dependent, selective reductions of plasma Lp(a)”. Safety and tolerability findings were encouraging and therefore the clinical development of ISIS-APO(a)Rx as a potential therapeutic drug to reduce the risk of cardiovascular disease and calcific aortic valve stenosis in patients with elevated Lp(a) concentration is likely to continue. The efficacy results are promising but the data in The Lancet (4) represent just the initial steps toward a long journey that will include the assessment of large patient groups, the careful monitoring of long term safety variables, and prospective studies to look at efficacy and clinical outcome in different patient populations.